I saw all the recipes and my mouth is watering. 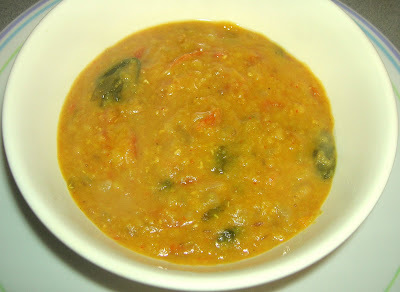 Can you post a recipe for making something out of sprouted dhal? (any dhal). my son can eat a gravy out of it and i think i will like a salad made with it. There are so many recipes and i want u to tell me the most simplest and easiest way to cook and eat them. will sure post recipes using sprouted moong.